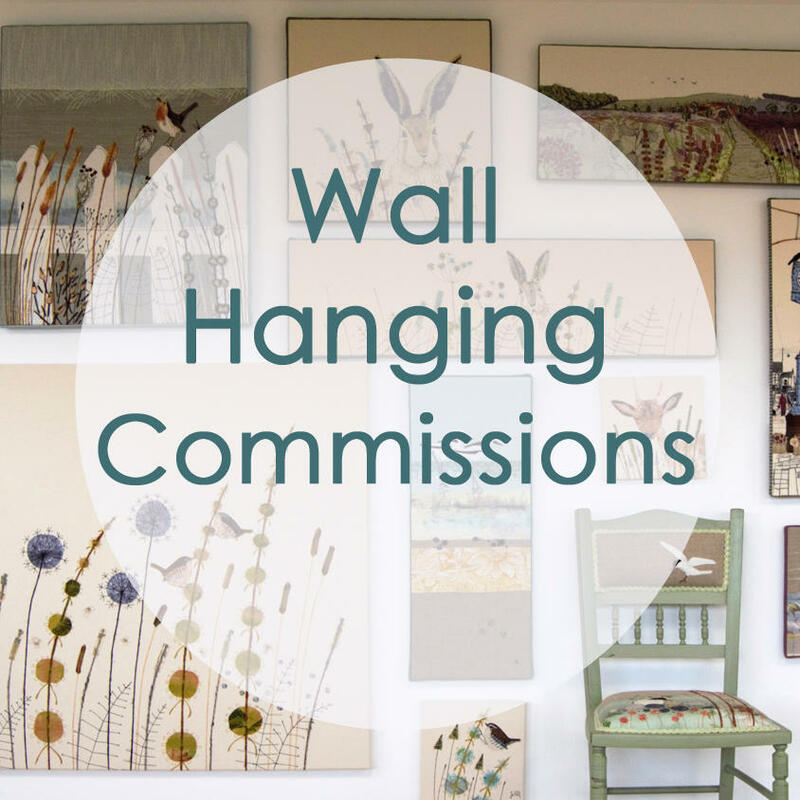 If you would like to commission a wall hanging, please get in touch! 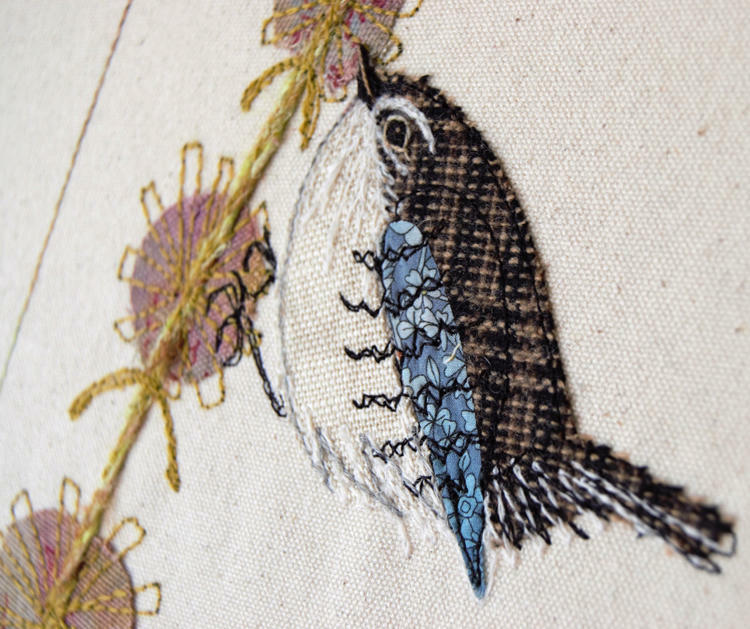 I have designed and made a huge variety of British wildlife textile pieces over the past few years. It's best to chat first before you order, so please let me know what you have in mind via email at jo@johilltextiles.co.uk or phone me on 01785 247754. 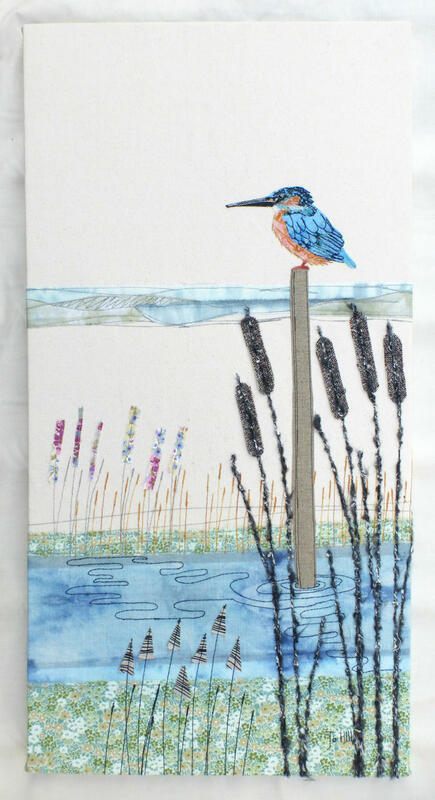 Your wall hanging will be handmade and therefore one-of-a-kind, so please allow 3 weeks for delivery. 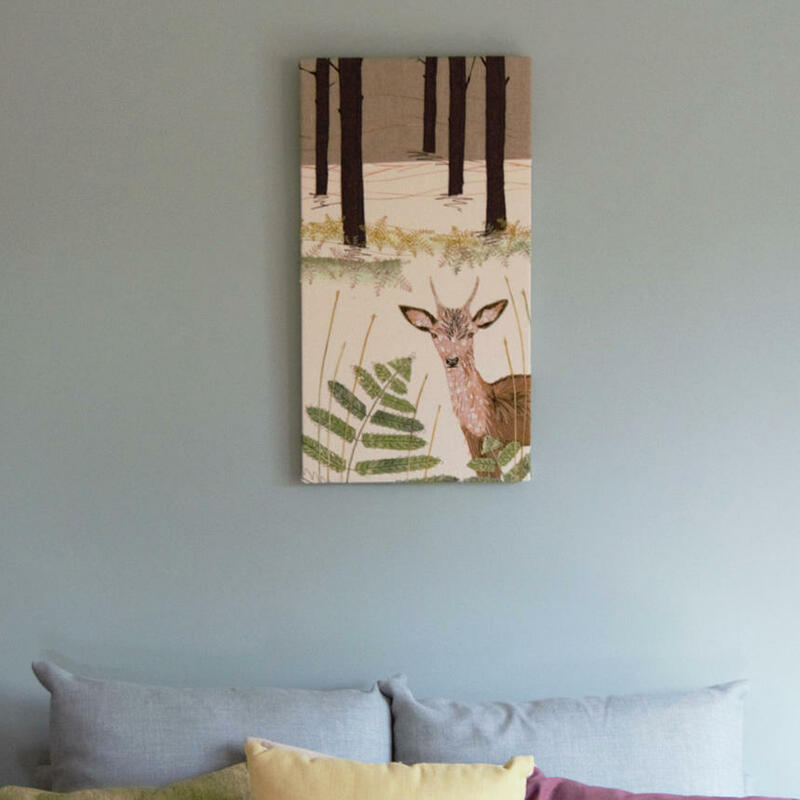 All wall hangings will be mounted onto a wooden frame, created especially for your textile piece. 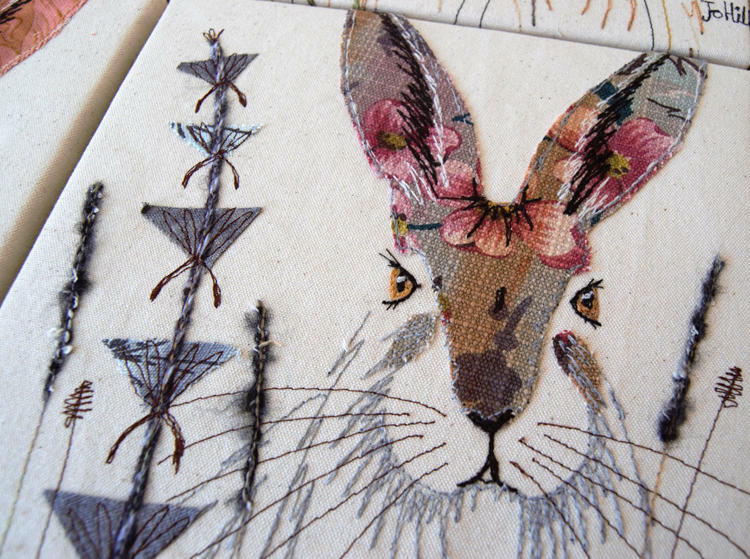 Wall hangings can also be edged in a complementary fabric which really adds the 'wow' factor to your bespoke piece. As a guide, please see the price list below. These prices generally refer to versions - or variations - of pieces that I have made already: i.e. the British wildlife that can be viewed here. These prices are just a guide - more complex pieces will take a lot longer to create and so will be priced accordingly. 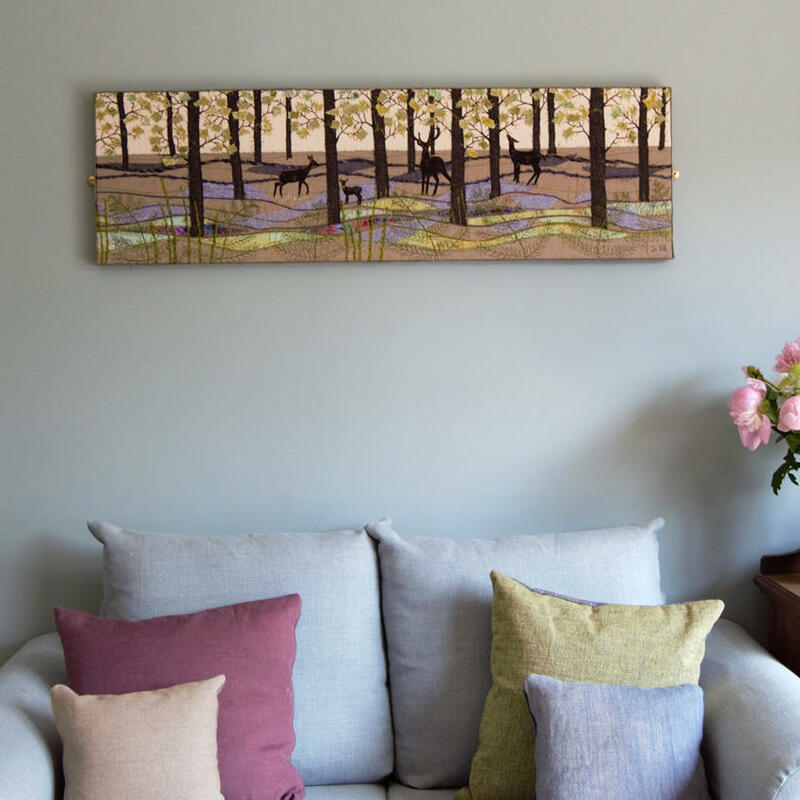 I am happy to make wall hangings to almost any size, starting from 9" square, up to about 40" square, so please get in touch to commission your unique piece to match the dimensions of your room. If you would like a truly bespoke piece (such as your pet, for example) or a personalised piece (e.g. with text, or something a little different to what I usually create) then please contact me to discuss your ideas. I would be happy to work with you in creating your bespoke piece. Prices for bespoke/personalised pieces start from £140 and will require a 50% deposit. 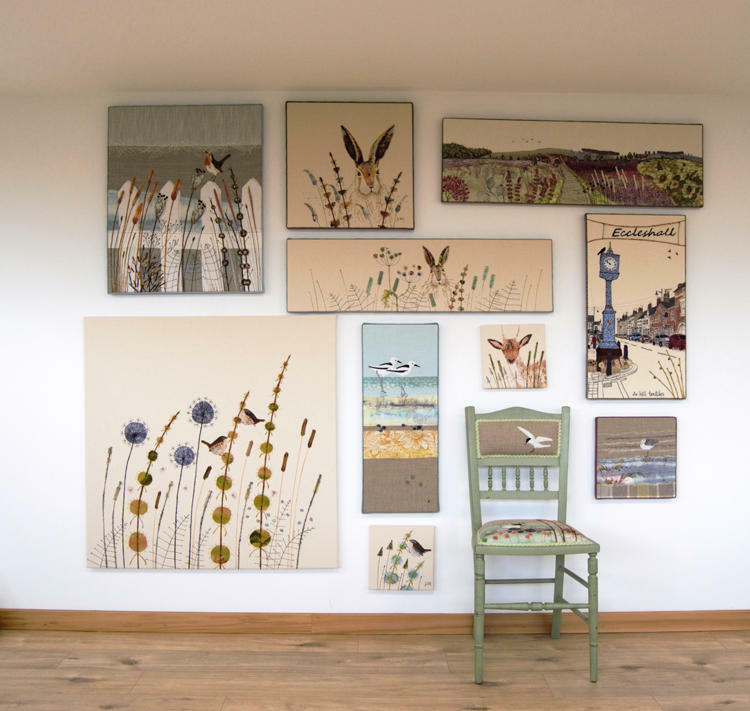 All textile pieces are exclusively handmade by me, Jo Hill, in the UK. I don't outsource any of my design or making work so you can be sure you'll be receiving a Jo Hill original! Get in touch with me now to start the design process!